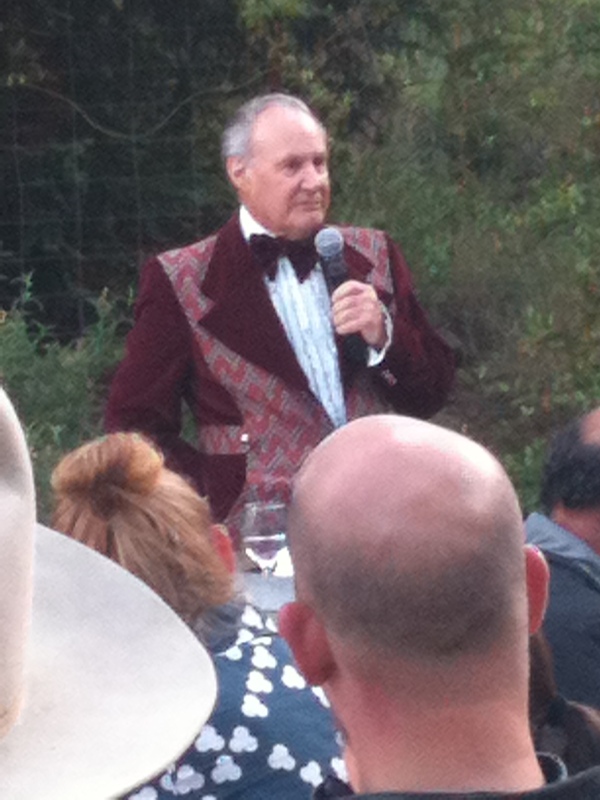 When I was invited to his celebration of life and saw the location was a winery in Northern California, I knew this wasn’t going to be just another funeral. 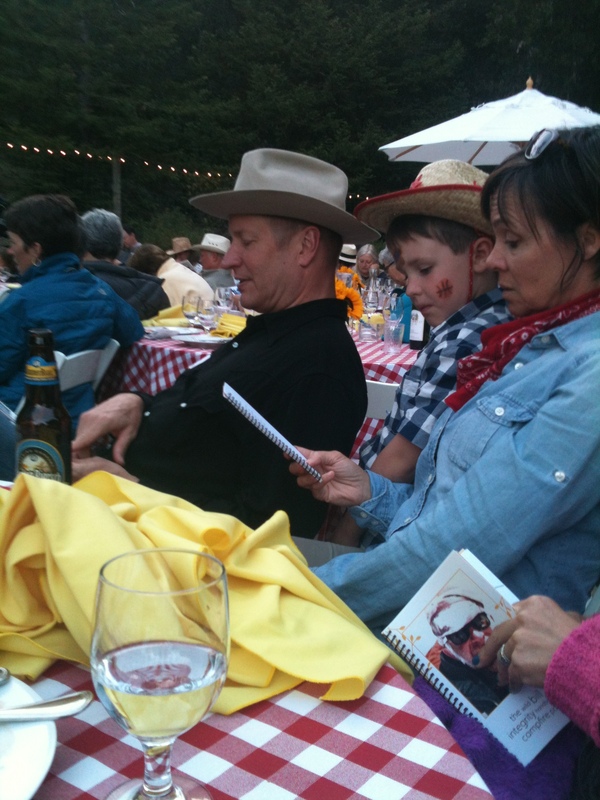 Another hint: we were instructed to wear cowboy attire since Bill was a cattle rancher and almond farmer. 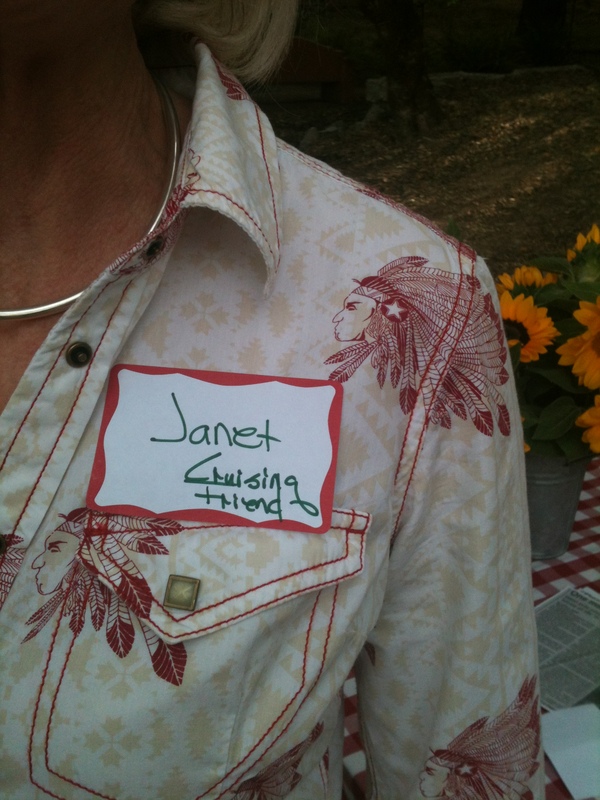 When we arrived to the outdoor garden, we were instructed to fill out a name tag with our name and how we knew “Wild Bill”. 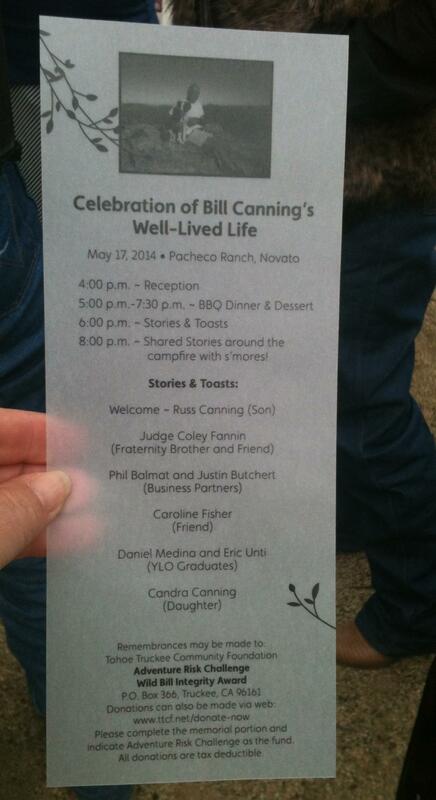 We were then handed a beautiful program printed on velum paper entitled, “Celebration of Bill Canning’s Well-Lived Life.” I knew Bill loved the outdoors and it made perfect sense that the entire event was outside. 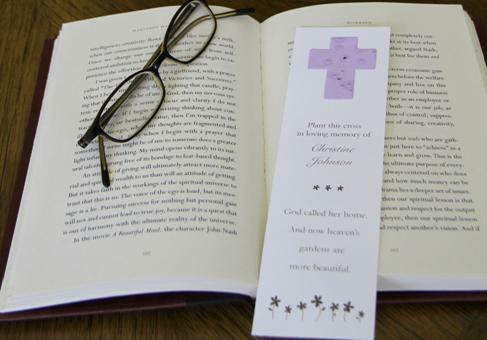 “How we knew Bill” name tags great idea for personalizing a celebration of life. 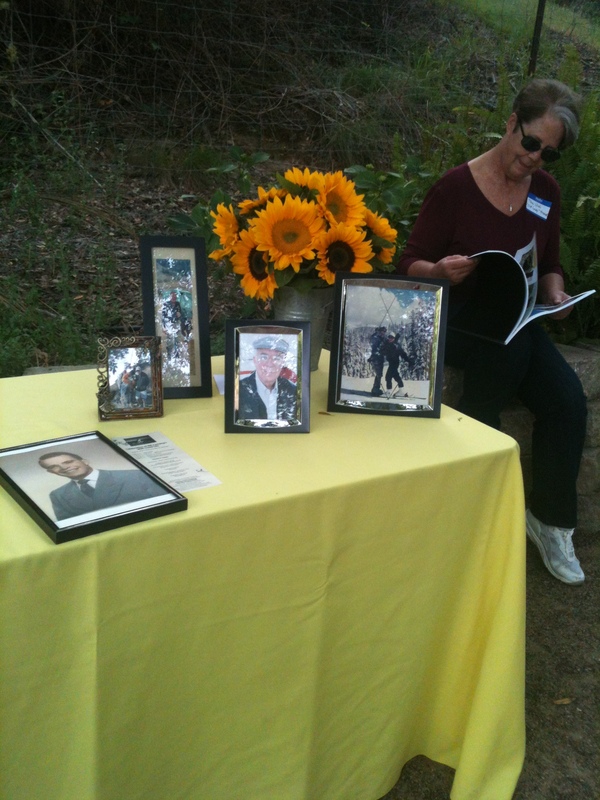 Beautiful displays of uplifting sunflowers were on the tables and on each side of the entry way. Tables and umbrellas were set up with red and white checkered linens with bright yellow napkins and sunflower center pieces. 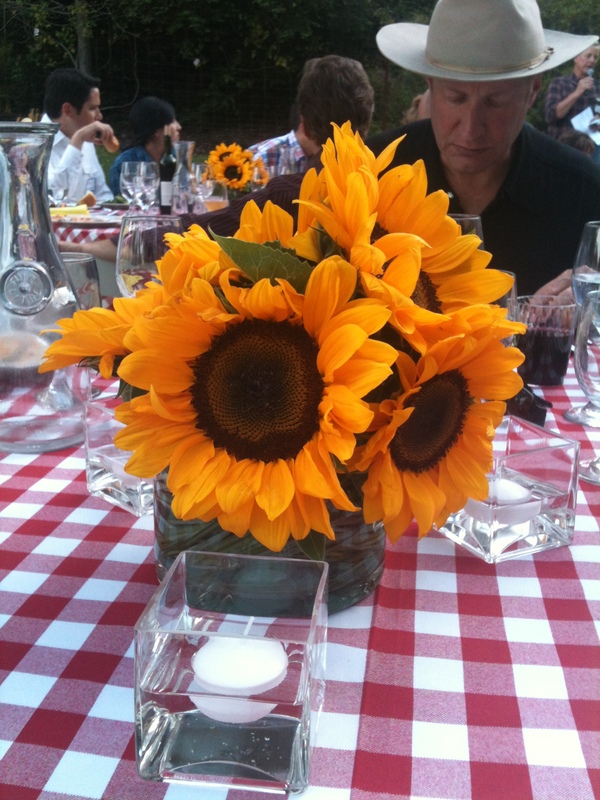 The Sunflowers added such a bright touch to all the tables. 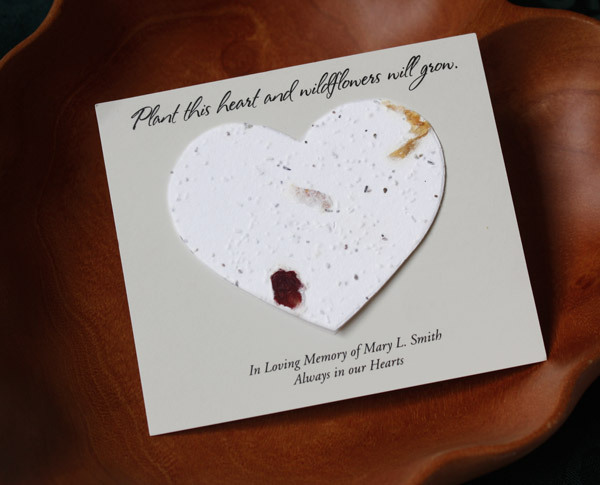 No dreary funeral flower here! 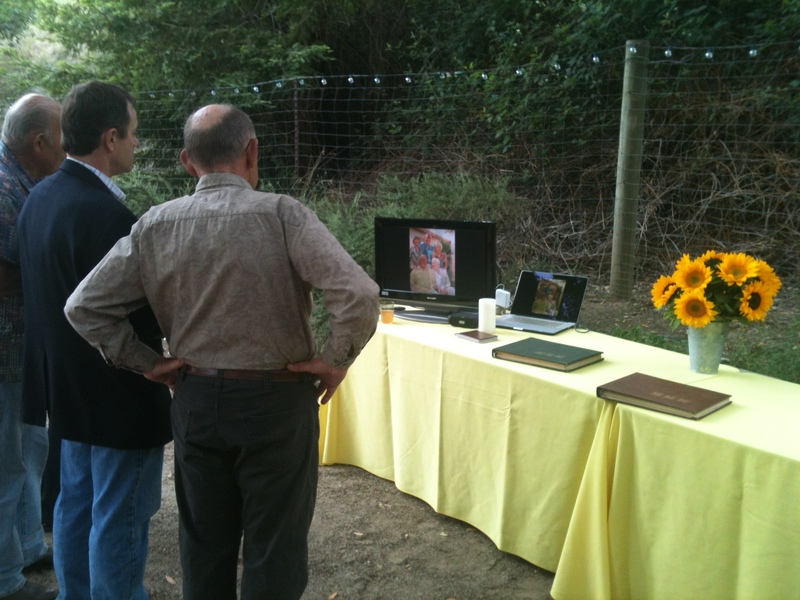 There was a large table set up with a computer playing a slide show of Bills adventures along with photos in frames and photo albums. 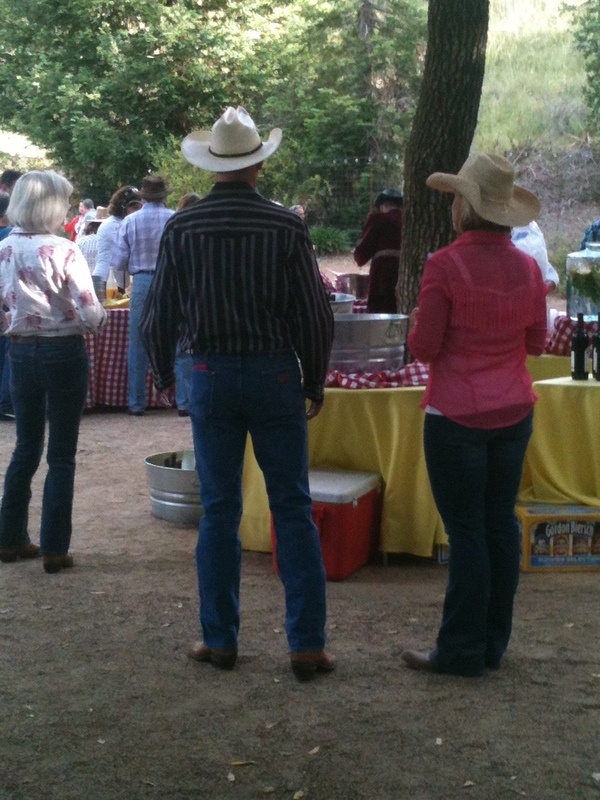 In keeping with the cowboy theme, a wonderful buffet BBQ was served. 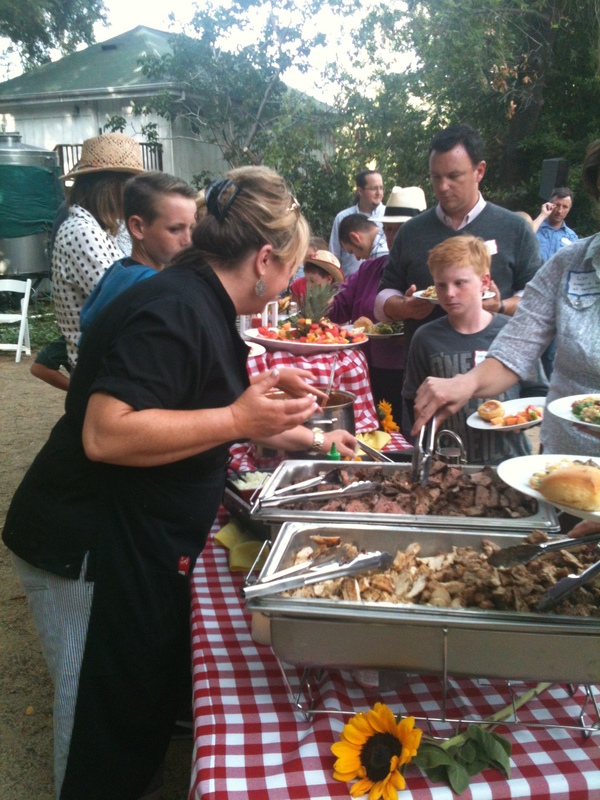 Consider a BBQ for a celebration of life. It was the perfect fit for Wild Bill! 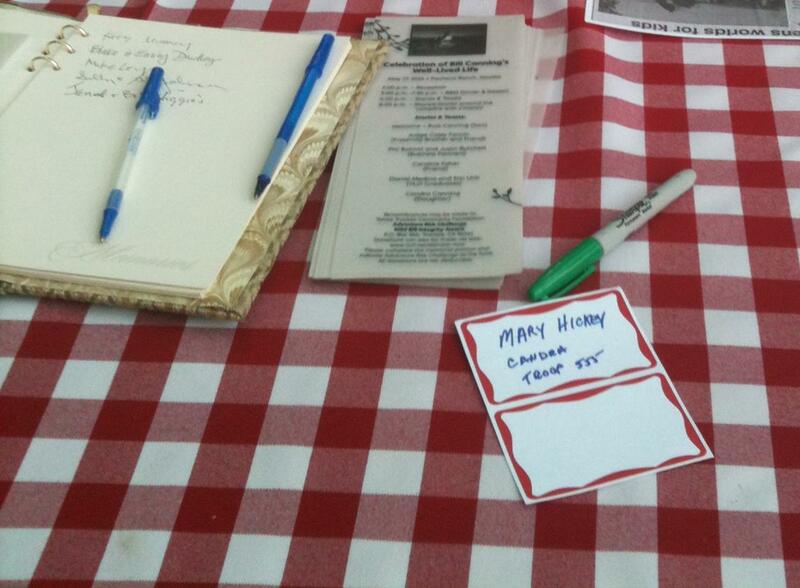 There was BBQ beef, chicken, fabulous chili, a green salad, fruit salad and rolls. The catering company did a great job with the food. To drink, there was beer, wine, water and lemonade. While we finished eating we were welcomed by Russ Canning, Bills son. Russ served as the host and introduced Bill’s good friend and fraternity brother Judge Coley Fannin. Judge was quite a character and was wearing a hideous jacket with a black bow tie. Bill’s Grandson walked around the table showing the photo of Bill give his buddy the ugly jacket. Turns out he was wearing it because as a joke, Bill had given it to him. He had a photo blown up showing Bill giving him the jacket. 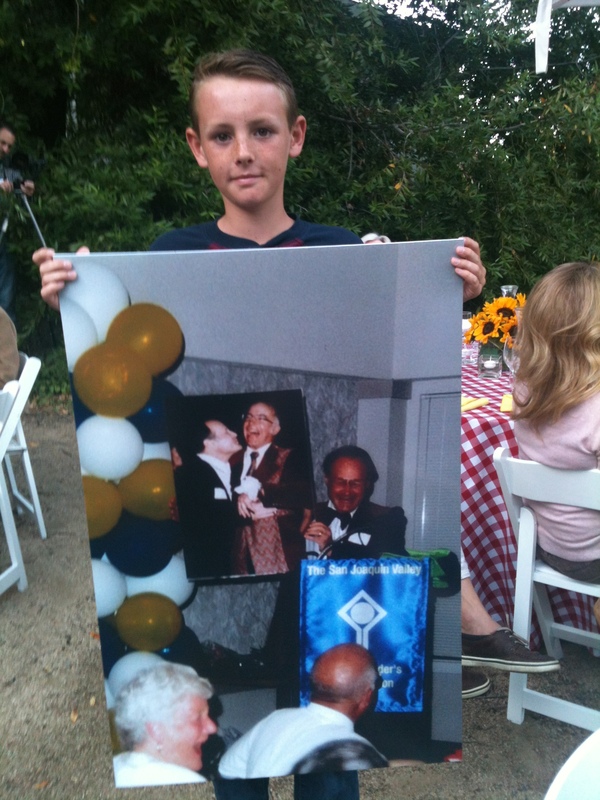 He had a young grandson walk around the tables showing everyone the poster sized photo. Everyone had a good laugh. Two of Bill’s business partners, Phil Balmat and Justin Butchert spoke and expressed how Bill partnered with them and how helpful he was in their careers. They both mentioned how his words and actions influenced them and have caused the “ripple effect” in their lives and their family’s lives. One of “Wild Bills” lasting legacies will be starting YLO (The San Joaquin Valley Young Leaders Organization). YLO was dedicated to enhancing the quality of rural life by aiding in the development of community leaders. It ran successfully for 25 years and had over 600 graduates. Two of the graduates spoke and told very entertaining stores of meeting “Wild Bill” and the crazy antics he would pull as they would climb mountains in the Sierra Mountains. 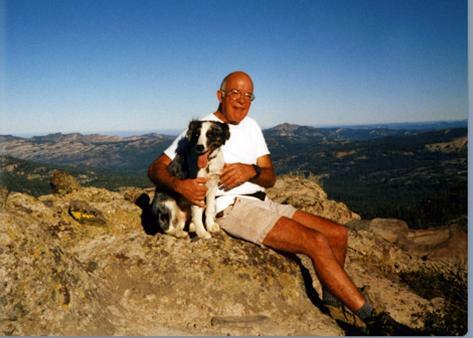 Most of the young members of the group had never been out of their community, let alone climbed mountains, but such was the dream and vision of Bill Canning. Hearing the young men talk about how YLO had taken them on all sorts of adventures and how the program helped them make lifelong friends and gain confidence was inspiring. 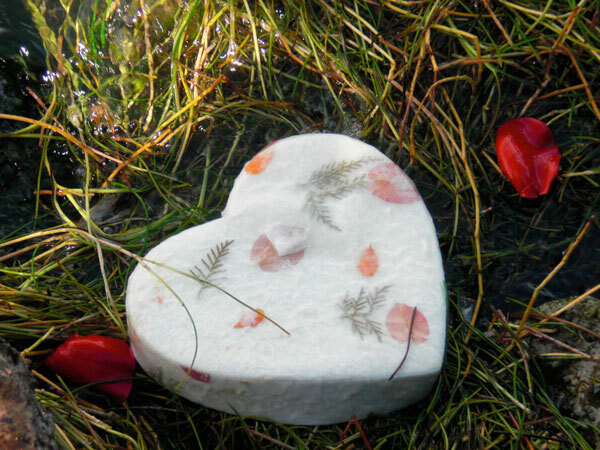 Again the “ripple effect” was mentioned. 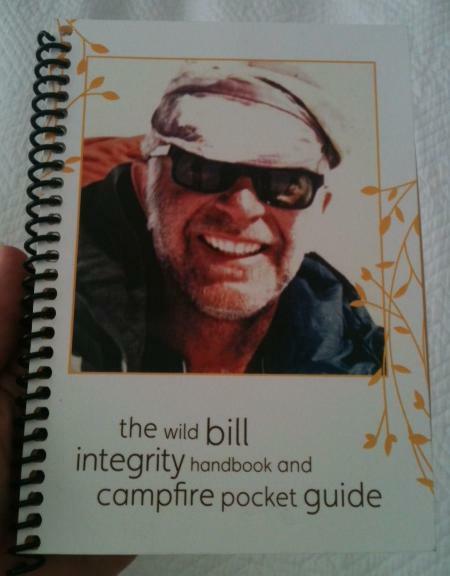 “The Wild Bill Integrity Handbook and Campfire Pocket Guide” was handed out to family and friends, as an everlasting reminder of how he lived his life. 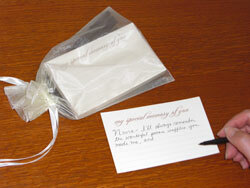 your energy to execute your ideas. I think at that moment we all felt the presence of “Wild Bill” and felt him looking over us proudly thinking of all the “Enthusiasm” he had shared with so many. 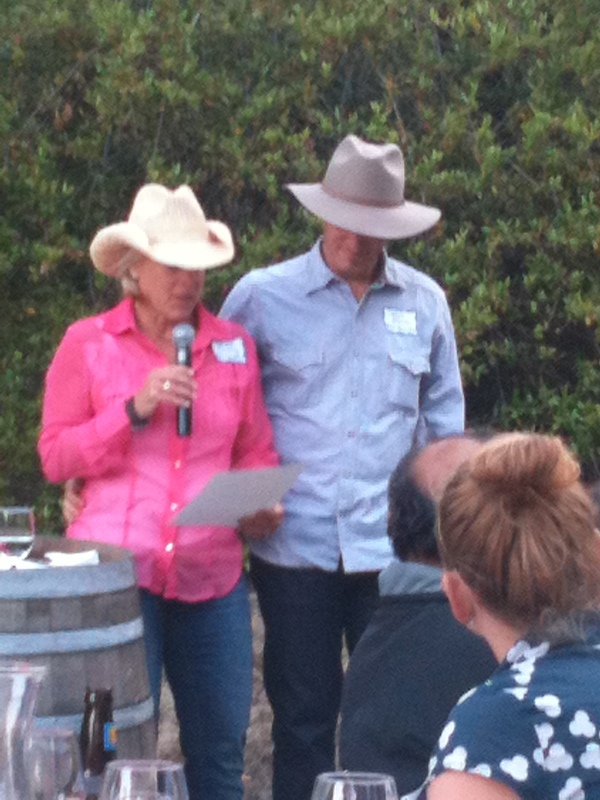 Candra gave a wonderful heartfelt talk, sharing stories of being “Wild Bills” daughter. We found ourselves laughing and crying at the same time. We then were invited for dessert of caramel and hot fudge ice cream sundaes with whipped cream of course. 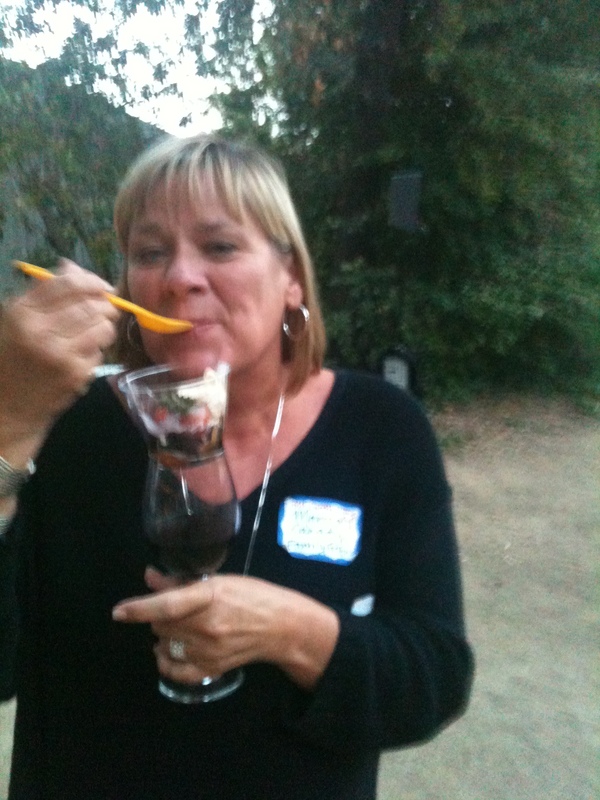 Yep, they served sundaes and later s’mores. 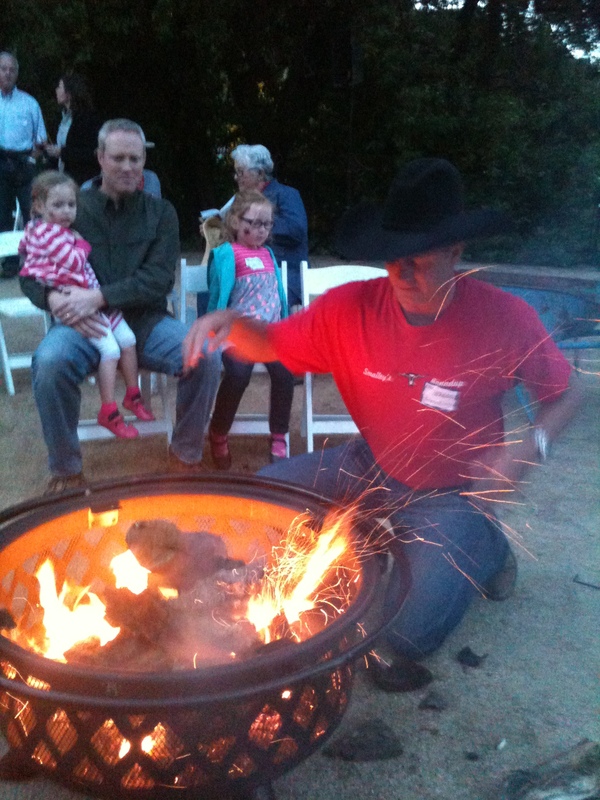 The campfire was being set up and chairs gathered around so people could share more stories and roast marshmallows on sticks to make s’mores. 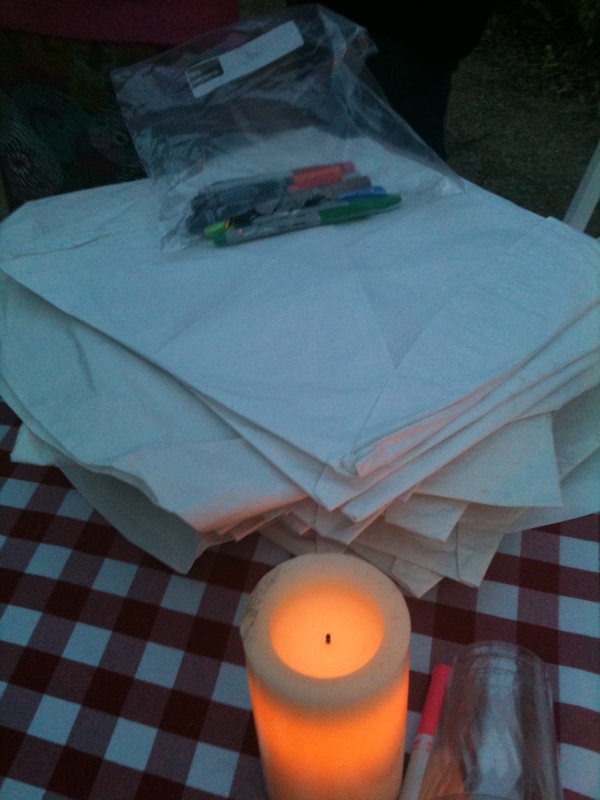 Lastly, we wrote tributes to Bill on lanterns that were then lit and released in to the dark night. We wrote our final farewell to Bill on the lanterns and they were lit and released into the dark night. As I left, I was deeply inspired by all Bill Canning had accomplished in his life and the “ripple effect” that was clearly seen at this fabulous Celebration of Bill Canning’s Well-Lived Life. 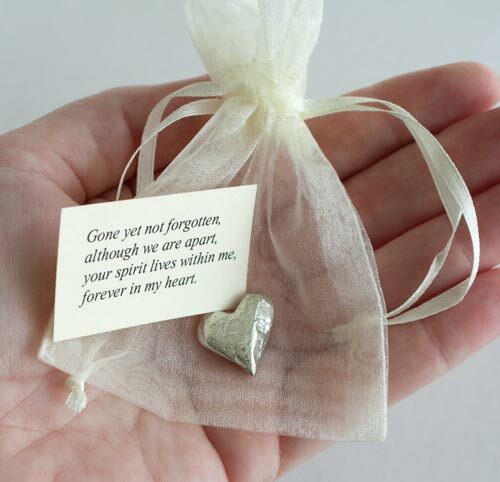 Hopefully you’ll be inspired to add some of these creative ideas into the celebration of life that you are planning. 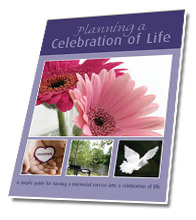 This entry was posted in Funeral Flowers, Ideas for creating a memorial, Life Celebration Ideas and tagged BBQ funeral, campfire and s'mores at celebration of life, celebration of life ideas, funeral cards, funeral ceremony, funeral flowers, funeral ideas, funeral planning, memorial service ideas, nametags for celebration of life, sundaes at funeral, sunflowers for funeral flowers, unique funeral ideas for flowers. Bookmark the permalink.